At Hickey Law Firm, P.A., located in Miami and serving South Florida and beyond, injury attorney John H. (Jack) Hickey can help if you or someone you love has been involved in an auto accident. An experienced trial lawyer, Jack helps protect your rights and fights to ensure you are justly compensated for damages in the event of an injury accident. This list of frequently asked questions can serve as a starting-off point for individuals who are interested in learning more about auto accident cases. An auto accident lawyer from our Miami, Fla., law office — serving Palm Beach County, Miami-Dade County and beyond — can review your case free of charge and advise you of your legal options. To schedule a free consultation, contact Hickey Law Firm, P.A., by calling 305-371-8000 today. Do I Have a Case (from the Auto Accident)? How Seriously Do I Have to be Injured in Order to Have a Case? What Does Board Certified Trial Attorney Mean? What Traffic Laws Apply to My Accident? The answer is: it depends. Whether you have a case depends on many things. Of course, if you have been seriously injured in a car accident, you can call us for a free consultation. In any event, you should call some attorney who specializes in personal injury and who is a trial attorney. Whether you have a case depends upon several things such as the extent of your injuries, whether the injuries are permanent, whether and to what extent the other driver or drivers were at fault, whether the owner or driver of the other car or cars has liability insurance. These are the primary issues. In order for any attorney to tell you whether you have a case, you have to speak to an attorney. We can only give you general guidelines on a website. 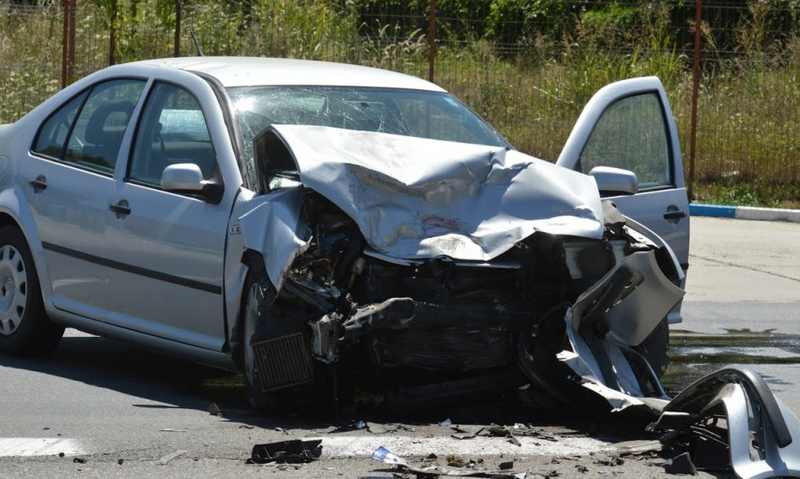 How Seriously Do I Have to Be Injured in Order to Have an Auto Accident Case? The “permanent injury within a reasonable degree of medical probability” does not have to be an injury that is completely debilitating. It can be any injury on your body as long as your doctor who treats you testifies that in fact it is a “permanent” injury. In other words, the injury can be either a or b or c or, of course, d in the subsection above. The injury can be a significant and permanent loss of an important bodily function or a permanent injury or significant and permanent scarring or disfigurement or death. The statute does not make clear but the Florida standard jury instructions do make clear that the damages for which you can recover are for the past and for the future. The past is from the date of the accident to the date of settlement or trial. Future is from the date of the settlement or trial through the end of your life or work life expectancy. Anyone’s life expectancy depends upon many factors including age and race. The life expectancy is determined by tables of life expectancy. The damages recovered can be both economic and non-economic. Economic damages include lost wages in the past; loss of ability to earn income in the future and lost medical expenses both in the past and in the future. Whether and to what extent you will incur medical expenses in the future of course depends upon the testimony and the reports of you doctors. Your doctors will say what if any treatment you will need in the future and how much that will cost. The types of damages outlined in Florida Statutes § 627.737(2) are non-economic damages. These are the damages for pain, suffering, mental anguish and inconvenience because of bodily injury, sickness or disease. Florida standard jury instructions 501.2 entitled “Personal Injury and Property Damages: Elements” provides six potential sections. Those sections are: a. injury, pain, disability, disfigurement, loss of capacity for enjoyment of life; b. medical expenses; c. lost earning, lost time, lost earning capacity; d. spouses loss of consortium and services; e. parental damages for care and treatment of claimants minor child; parental loss of child’s services, earnings, earning capacity; and f. parental loss of filial consortium as a result significant injury resulting in child’s permanent disability. Subsection a. is the general section describing non-economic or pain and suffering type damages. That section provide that the Plaintiff in the car accident or any other personal injury case in the state of Florida can recover for “any bodily injury sustained by [the Plaintiff] and any resulting pain and suffering [disability or physical impairment] [disfigurement] [mental anguish] [inconvenience] [or] [loss of capacity for the enjoyment of life] experienced in the past [or to be experienced in the future]. There is no exact standard for measuring such damage. The amount should be fair and just in the light of the evidence. What if I Was Partially at Fault for the Auto Accident? Fault is taken into account in several ways in any car accident. First, the degree to which you are at fault reduces your damages. Here is how that works. On the verdict form, which is the form that the jury fills out at the end of the trial, the jury is asked whether the Defendant was negligent. The Defendant in an auto accident case is usually either the owner of the car or truck or the driver of the car or truck or both. Sometimes, the manufacturer is at fault for manufacturing a faulty part on the car. Sometime the design of the road or surrounding area is at fault for causing the accident. Sometimes the company or person or government that is responsible for maintaining the road or the stop sign or the traffic light or the guardrail in the area is responsible for causing or contributing to the cause of the accident. (2) Effect of Contributory Fault. – In a negligence action, contributory fault chargeable to the claimant diminishes proportionately the amount awarded as economic and noneconomic damages for an injury attributable to the claimant’s contributory fault, but does not bar recovery. On the verdict form, the jury is first asked whether the negligence of the Defendant caused or contributed to the cause of the accident. The next question that the jury answers is whether your own negligence caused or contributed to the cause of the accident. If the answer to that question is yes, the jury decides what percentage the Defendant is at fault versus you. The total of the percentage of fault of course must equal 100%. This affects the amount of damages you recover. If, for example, the jury finds that the Defendant is 50% at fault and you were 50% at fault, your damages will be reduced by 50%. If the jury finds that the Defendant is 100% at fault and you were 0% at fault, your damages will not be reduced. (3) Apportionment of Damages. – In a negligence action, the court shall enter judgment against each party liable on the basis of such party’s percentage of fault and not on the basis of the doctrine of joint and several liability. (a)1. In order to allocate any or all fault to a nonparty, a defendant must affirmatively plead the fault of a nonparty and, absent a showing of good cause, identify the nonparty, if known, or describe the nonparty as specifically as practicable, either by motion or in the initial responsive pleading when defenses are first presented, subject to amendment any time before trial in accordance with the Florida Rules of Civil Procedure. What Does Board Certified Civil Trial Attorney Mean? The Florida Bar is the one and only organization that licenses attorneys in the state of Florida and allows those attorneys to practice law in our courts. The Florida Bar is governed by the Supreme Court of Florida. Therefore, anyone who practices law in the state of Florida must be a member of The Florida Bar. “Board Certification” according to The Florida Bar “is the highest level of evaluation by The Florida Bar of the competency and experience of attorneys in the 24 areas of law approved for certification by the Supreme Court of Florida.” Only 1% of the entire membership of The Florida Bar, that is only 1,076 out of more than 90,000 lawyers in Florida, has earned The Florida Bar board certification in civil trial. The minimum standards for board certification in civil trial law by The Florida Bar include (a) at least five years of full time law practice; (b) substantial involvement – 50% or more – in the practice of civil trial law during the three years preceding application; (c) 15 contested civil cases in courts of general jurisdiction during the lawyer’s practice, including cases before a jury and as counsel; (d) peer review, that is review and approval by other attorneys and/or judges; (e) completion of 50 hours of continuing legal education within the three years immediately preceding application; and (f) written examination demonstrating specialized knowledge, skills, and proficiency in the field of civil trial law. The certification for civil trial law is required to be renewed every five years. What Traffic Laws Apply to My Car Accident? §316.1925 Driving under the influence. If you have suffered an injury in an auto accident because of another party’s negligent and reckless actions, contact Hickey Law Firm, P.A. by calling 305-371-8000 today.